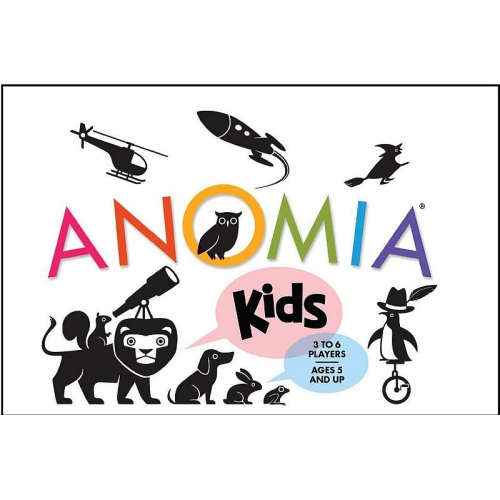 enjoy the zany, high-energy fun of ANOMIA - no reading required! players? If so, be the first to shout a word that starts with the same sound as the image on your opponents card. Easy, right? Beware - you may find that your brain can do some pretty silly things under pressure! speech-language skills. And all ages will be laughing out loud as they try to beat each other to the punch! There is not enough of the following product available to fulfill your request. Would you like to change your order to include substitute products? Everest is a one of the largest toy, game and gift manufacturers and distributors located in North America. We have been in business since 1992 and offer only the highest quality and most reputable products on the market. Our knowledgeable, in-house sales team serves customers in the U.S., Canada and worldwide. If you are a store looking for new, unique and awesome products, we can help you out! PLEASE NOTE THAT WE DO NOT SELL TO THE PUBLIC... WE DISTRIBUTE TO RETAILERS ONLY!